Crosswalk.com: You are releasing a movie based on your book Visitation. Tell us about that. How is the book different from the movie? Frank Peretti: Entirely different. The movie … I’d say it is that they basically abstracted all the spooky parts from the book, made it a little spookier here, and made a story out of it. There’s a whole parallel universe storyline and message in the novel that’s not in the movie; the novel has a lot deeper subjects to address and the film is down to a pretty simple storyline. Crosswalk.com: How much day-to-day involvement did you have in the making of this movie? Peretti: Well, not enough. To explain that, I was busy working on my book Monster at the time, so I wasn’t even there for the film shoots, which I wouldn’t let that happen again because I really like being involved in this process. I was all set to go down there but I was working against a deadline and I just could not do it. And so, they pretty much did the movie without my being there. 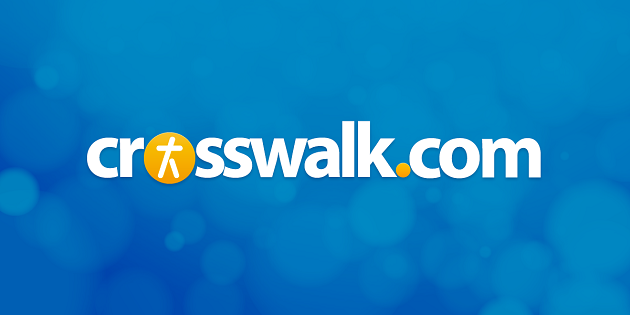 Crosswalk.com: You are about to release a new book coauthored with Ted Dekker entitled House. How did that come about? Peretti: I was thinking about it, because [my publisher] WestBow has done some of my books and some of Ted’s books, and they figured what better combination, Ted Dekker writes thrillers, Frank Peretti writes thrillers... [Partnering authors is like] having a super pizza or critical mass or something, let’s get two of these guys together and have them do a book together. Seemed like a really good marketing idea and Ted had a good idea for a book. He pitched me one idea and I didn’t like it, he pitched me a second idea and I said, “oh, okay,” an idea about a house that folks enter that just seems to have some very special characteristics all of its own. Crosswalk.com: How did the writing process work between you and Ted, practically speaking? Did you take turns writing chapters or did you meet and write together? Peretti: What it boils down to is Ted has the overall concept and the story idea, and I’ve pitched in a little bit of work here and there in forming some of the characters up and so forth. But what it really boiled down to is that I wrote the first nine chapters, just getting the story set up, and then Ted finished it out from there. We figured out where we were going and I set it up and he just took off from there and finished it. Crosswalk.com: So this is the first major project like that you’ve done with somebody else ever. Would you do it again? Peretti: Absolutely never. Ted and I chuckle about it. After we worked together we realized we couldn’t ever work together again. The problem is you have one creative genius who's passionate about his work trying to work with another creative genius who's passionate about his work. We write from totally different directions and we didn’t find that out until we got together. So, it was pretty painful. Crosswalk.com: What’s the next project in store for you? Peretti: One thing I know I can do for sure is write another book. It might be another “Darkness” book after 18 years. In the meantime, right now I feel a real strong leaning to write and direct a motion picture, so that’s what I’m working on right now. I’m working on a screenplay for Monster. I’m like Abraham, just stepping out and going… I know not where, [but] I feel this is what the Lord wants me to do. So that’s what I’m preparing for, and they’re many pieces floating around out there that the Lord still is going to have to bring together. A movie’s a big deal, so we’ll see. Crosswalk.com: Let me switch gears here and ask about This Present Darkness and Piercing the Darkness. When you wrote those books in the 1980s, the Christian book marketplace was very different than it is now. Can you talk a little bit about that? Christian novels are everywhere now, but that wasn’t always the case. Peretti: It’s a big question because there’s a lot of different things I could address there. But first of all, Christian fiction was not respected as a really worthwhile publishing avenue. That’s back in the days of the how-to books, Bible devotions type things -- those books, you still see that kind of book today … the prairie romances … there were the biblical novels based on the lives of biblical characters. [There was a] little bit of fantasy out there; there were a small number of authors, romance. I felt like a leper venturing into the fiction realm because number one, there was this Christian mindset that “I never read fiction…” When I first tried to get my book published, that’s basically what I got from most of the publishers… "we don’t publish fiction" and those that did publish fiction were restricted to the what they produced. Crosswalk.com: But your idea was much different. Peretti: Yeah, I sent my idea off and it was just so different that no one knew what to do with it. Even Crossway, which eventually published it, didn’t get it the first time. They were kind enough to write a letter -- no one else wrote letters, they usually just sent a little card. But they wrote a letter that said it was a very interesting idea, not quite a fit into our publishing needs right now … maybe later on. Anyway, I later on sent them a children’s book, the first of the Cooper Kids’ Adventures; that book got me in the door. They liked that one, it was safe and for kids, so they published it. Then they said, "By the way, you sent us this earlier idea that we rejected … could you send that to us so we could look at it?" And so I sent it to them, and they decided to publish it; they took a risk, adventuresome people that they are. And the rest is history. Crosswalk.com: It’s certainly acknowledged that This Present Darkness changed the way people think about Christian novels. Peretti: But even then, This Present Darkness languished on the shelves for about a year and a half selling 40, 50 copies a month, or something like that. Really dismal numbers. If I had a book about how to memorize the whole Bible in 30 days, then there would be something to talk about. But since it was fiction, nobody was interested. But then in late 1987, spilling over into 1988, the book just started to snowball, and word of mouth overcame every obstacle. I didn’t get press, I didn’t get radio, I didn’t get any media exposure, but people started talking about it. Amy Grant started plugging it during her concerts, pastors began recommending it from their pulpits; it just took off like a grass fire, and … suddenly people took notice. It was on the best-seller list for 10 straight years. 10 years. It’s still selling today, over 2.5 million copies to date, 14 different languages. It was This Present Darkness that changed the whole publishing view of fiction, which made a real difference because it also opened the door for truly good fiction writers who really deserve to be published because, guess what? They really did have something powerful to say. I always remind everyone the story is one of the most powerful ways that human beings share their values. Every culture has its myths, its legends, its sagas, its stories, its epic poems… these are all stories that pass along the virtues and the teachings of that culture. That’s why Jesus used parables, because people remember good stories. The Bible is full of stories from which we learn. Crosswalk.com: Why did you decide not write to more sequels to the Darkness novels back when they were popular? Peretti: After I wrote the Darkness books, every bizarre person in the world came out of the woodwork saying “you’ve got to write my story, let me tell you what happened to me ... I was raised by Satan, dedicated to the Devil…” That’s one reason I got out of the whole spiritual warfare thing, 'cause I just got so sick of it. I was sick of demons and all that stuff. I was sick of all this bizarre -- you can only take so much of a steady diet of that, then it starts to cost you. You get depressed. Your outlook is so dark; it’s not healthy. I had to get out of it. Even today, you have to know, Frank Peretti doesn’t talk about spiritual warfare. I don’t deliver demons... I’m like any other human being, I have to keep growing in the Lord, trying new things. I want to have a life. I don’t want to be a rock star singing his one hit the rest of his life. I’ve had some folks say "you’re always writing something different, when are you going to write another Darkness book?" I’ll write another Darkness book when God tells me to, when there’s really a point to it. I’m not going to write another Darkness just because I had such great success with the first two…. We all grow in the Lord, I’m growing and I want to keep growing, and have different things to write about. Crosswalk.com: What fiction writers do you like right now? Obviously Ted Dekker, right? Peretti: [Laughing] Sure. I’ve read just about everything Michael Crichton has written. I enjoy his stuff; it’s real cinematic, and it’s inspired. He writes this technical stuff, which most of the time I find fascinating. I like the way he structures his stories, so he’s a big influence on me. Another writer I read is published by Westbow - Charles Martin. He wrote the book The Dead Don’t Dance. I loved that book. It was a beautiful tapestry, or beautiful painting of a character… of where he lived … it was such a wonderful refreshing glimpse into the heart of this character that I just savored every moment of that book. I was ready for that, you know, you get into this thriller genre and action genre, you start shallowing out. It just starts to be same old, same old; you just miss a really good read, a real heart deep. I try to get heart-deep and I think I did when I did Visitation. Right now I’m reading all there is to know about making movies. I want to be a director and a screenwriter, so that’s what I’m studying right now. Crosswalk.com: What do you tell people who are looking for advice on how to break into the fiction market? Peretti: I tell them be sure you know what you’re doing, learn all you can about it, study fiction writing, learn story structure, learn character development, learn all, learn how to lay out dialogue. I’ve seen the work of some of these would-be writers and I suppose they keep trying and keep trying, but they don’t have the faintest clue about what they’re doing. They don’t know how fiction works. They don’t know how to set up a scene. They don’t know how to build suspense. They don’t know any of that, and they’re going to keep trying and keep trying until they die and they’re never going to get published because they don’t know what they’re doing. And I tell folks keep on learning, I’m still learning, I still study story structure, I still study story theory; there are a lot of different ideas and different approaches out there. Jerry Jenkins told me something interesting, I was at his writer’s conference just the other day. He said a lot of times, manuscripts get thrown out or rejected because they require so much editing. Because the writer is so poor at the basic skill of English; [publishers] don’t have time to edit all that. Time is money, when it takes someone who’s being paid by the hour to sit down and edit all that to make sense of it, it’s not cost-effective. You want to be able to turn in a manuscript that is as close to perfection that you can get. You’re going to get it marked up anyway, but at least know what you’re doing. Crosswalk.com: When you look back on your career, how do you think your writing has changed over the years. Peretti: It’s interesting to observe how my writing style is so different now. I go back and read my older books, like the Darkness books and, boy, my writing was gabby back then. I remember that it took me so long to say something, to tell the story. The writing in our day is much more streamlined and there’s nothing really super long about it. Most writers myself included are too gabby anyway; we take a lot more words to say something than we have to. The more you plan something, the more lean you can make it; you can say it in fewer words. There is a famous writer whose name escapes me, but he wrote someone a letter. It was a big, long letter. He started by saying I’m sorry for the length of this letter, but I didn’t have time to write a shorter one. House is available April 2006 from WestBow Press, and imprint of Thomas Nelson. Read Crosswalk.com's review of Visitation.